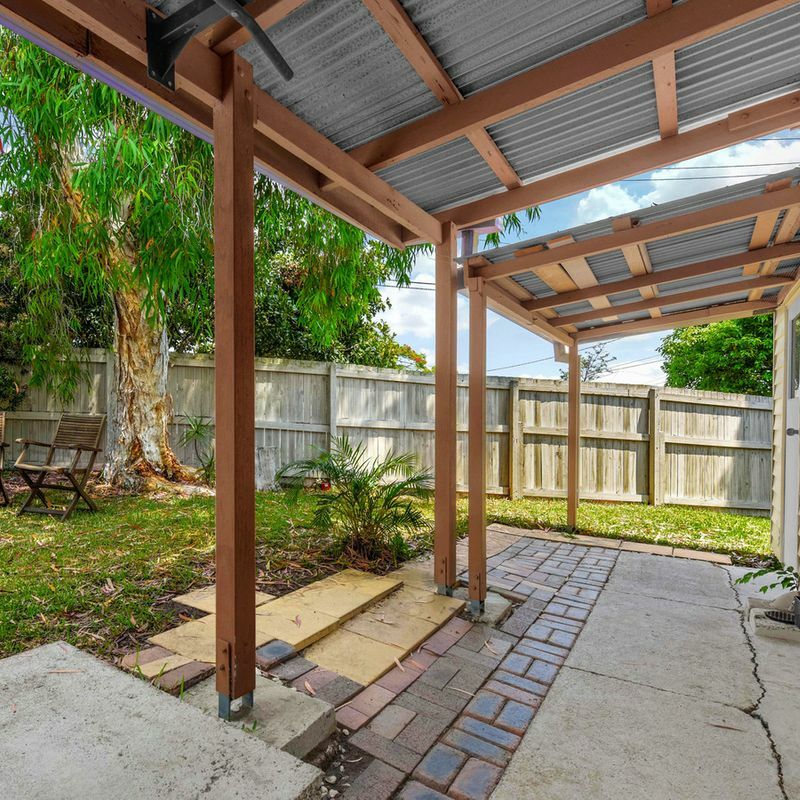 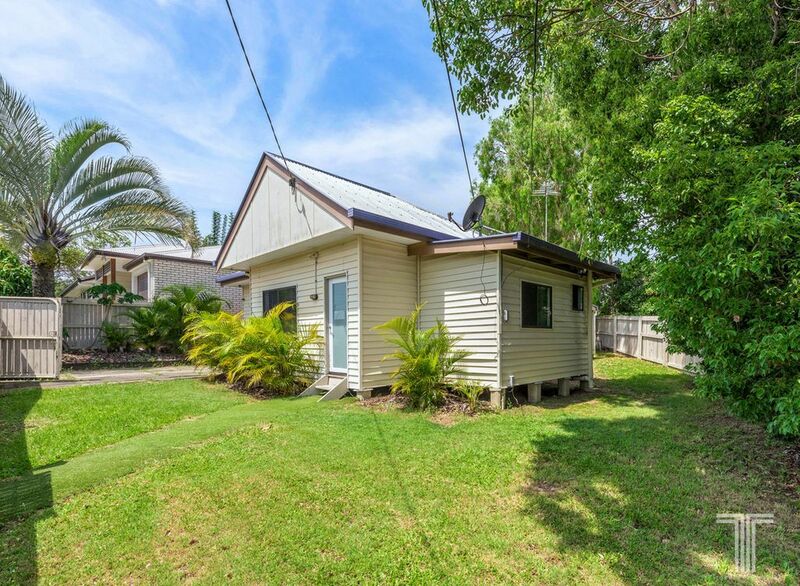 This updated home sits within the fully fenced corner allotment complete with a 3×3 metre shed. 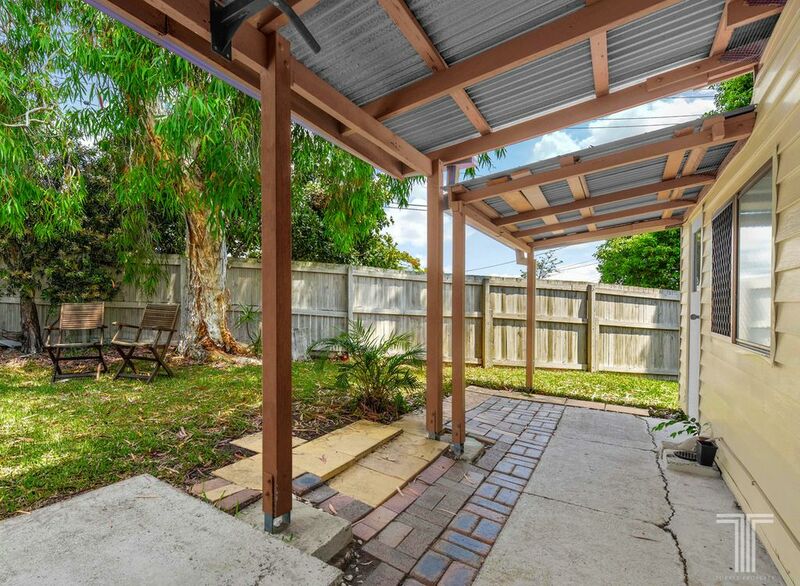 Positioned in a very convenient location, with City glimpses from the property. 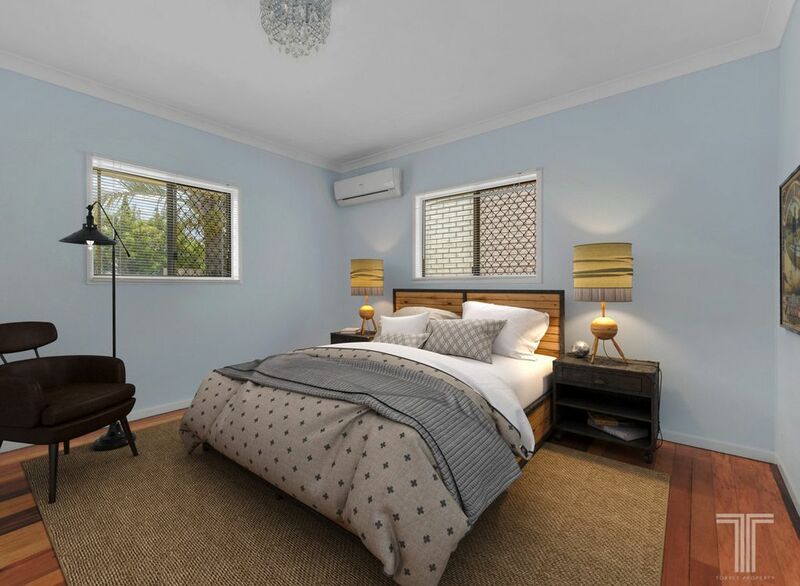 Only a stone’s throw away from Morningside Central Shopping Centre & Colmslie Hotel, inside you’ll find a generously sized lounge room and a separate modern kitchen with a dining area. 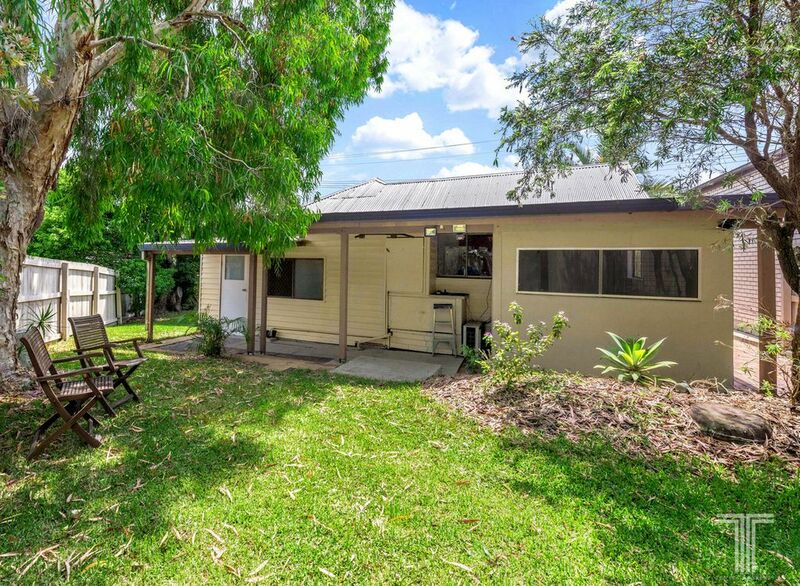 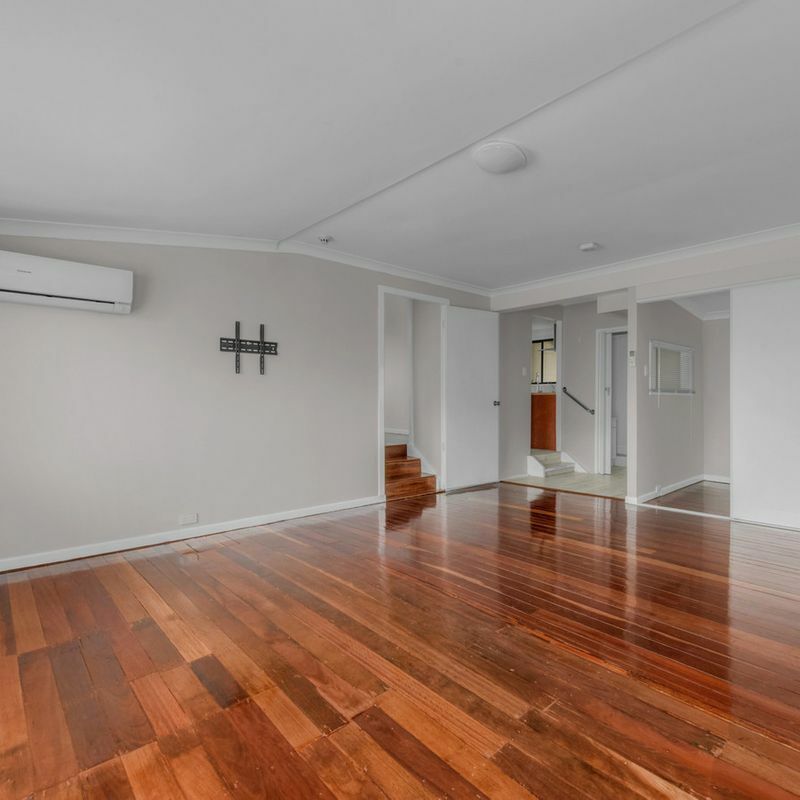 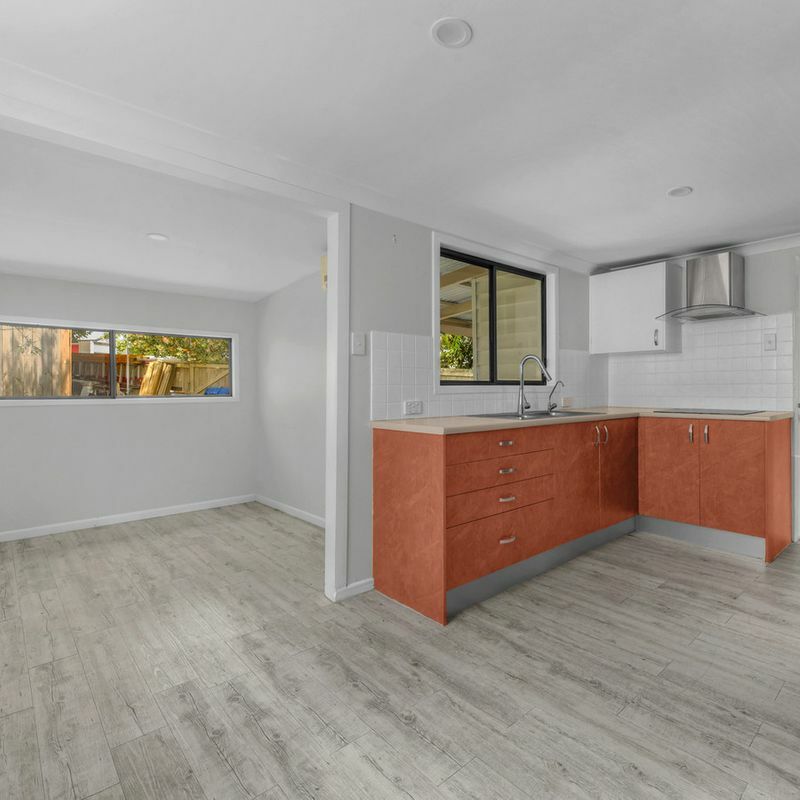 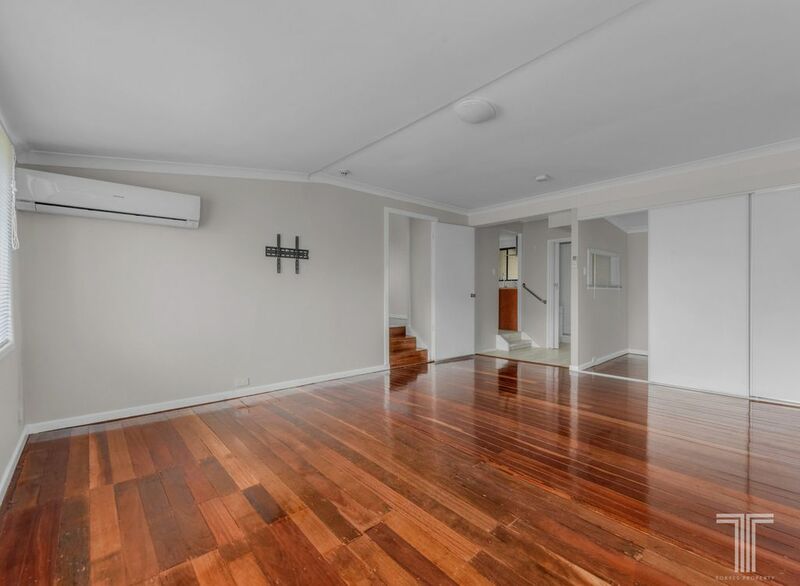 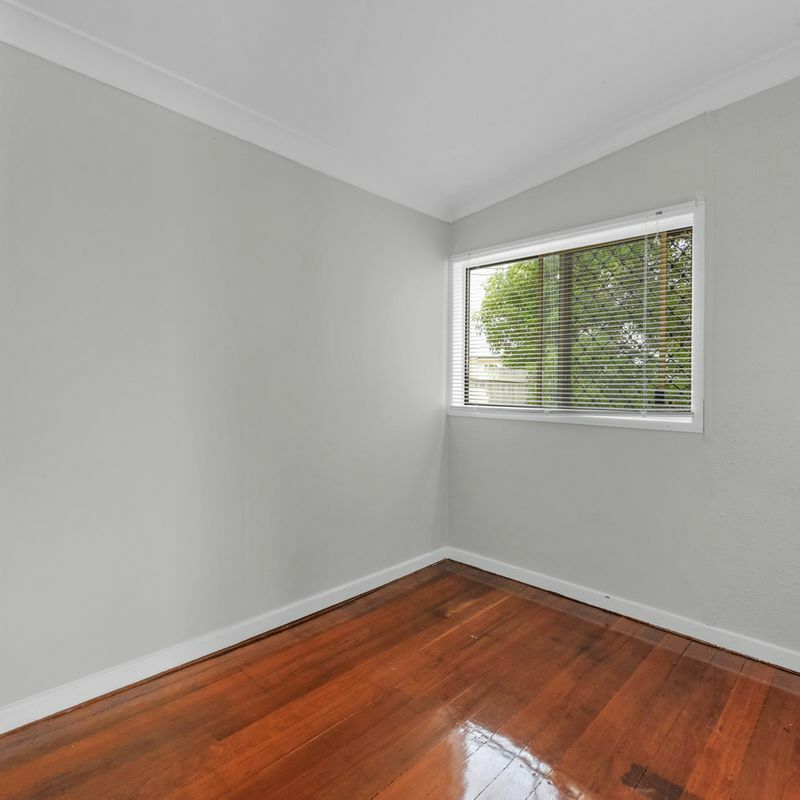 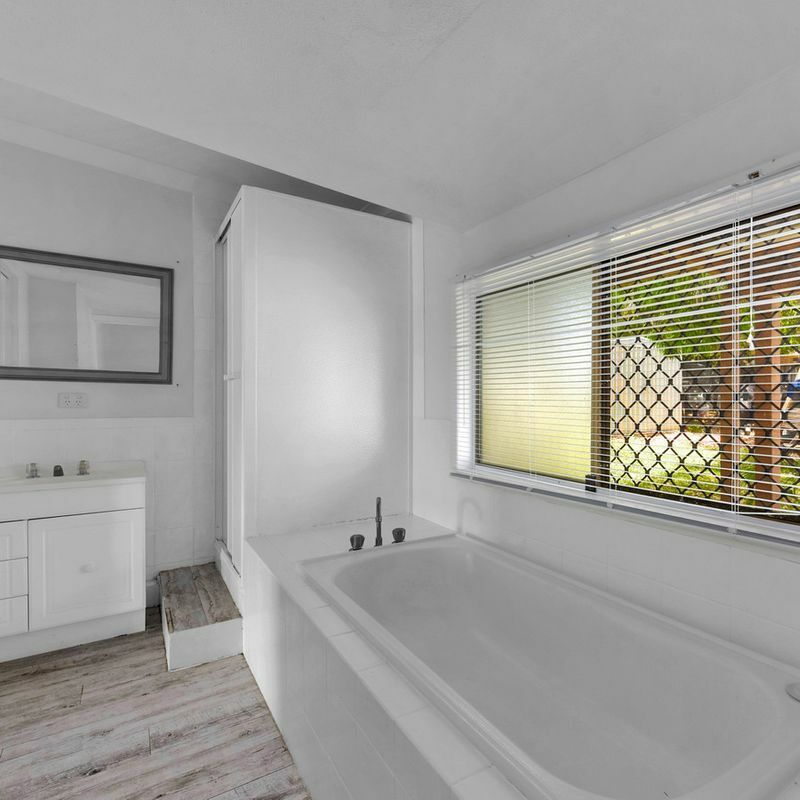 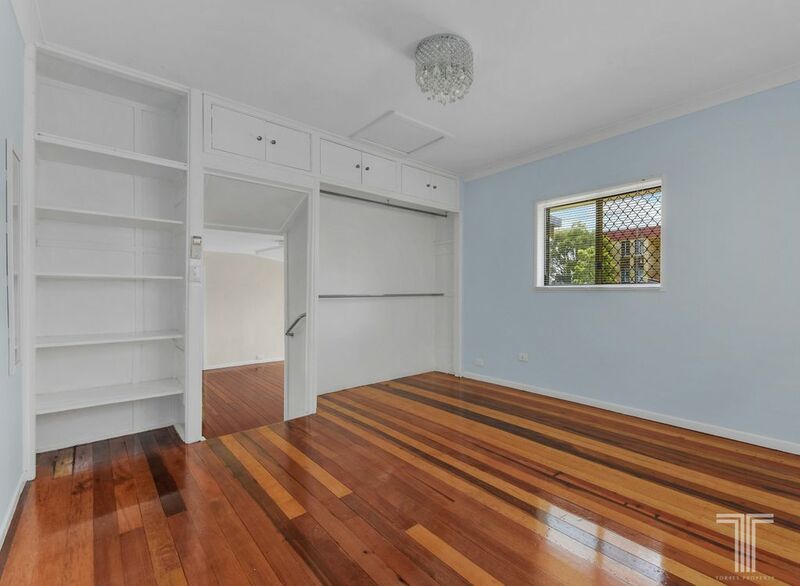 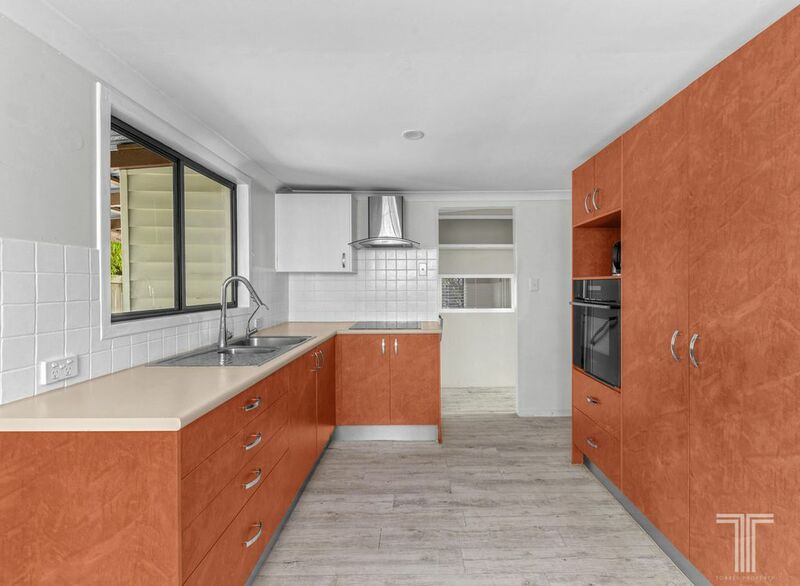 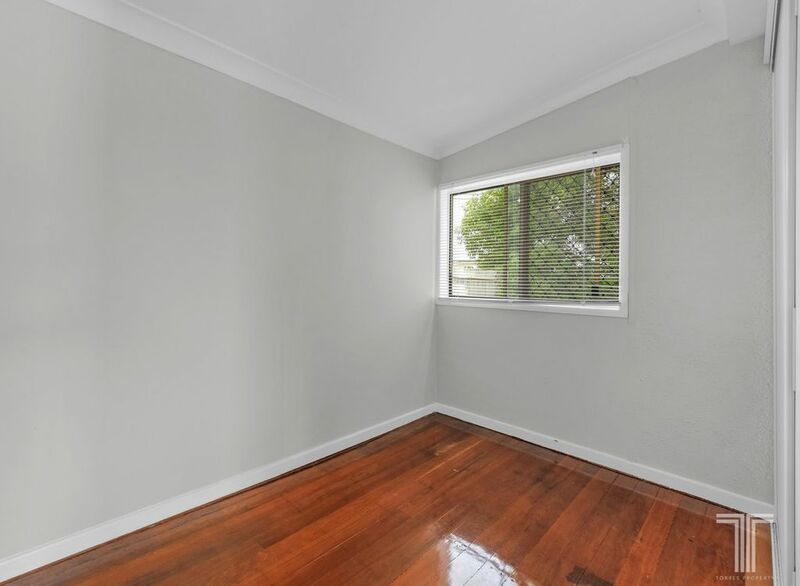 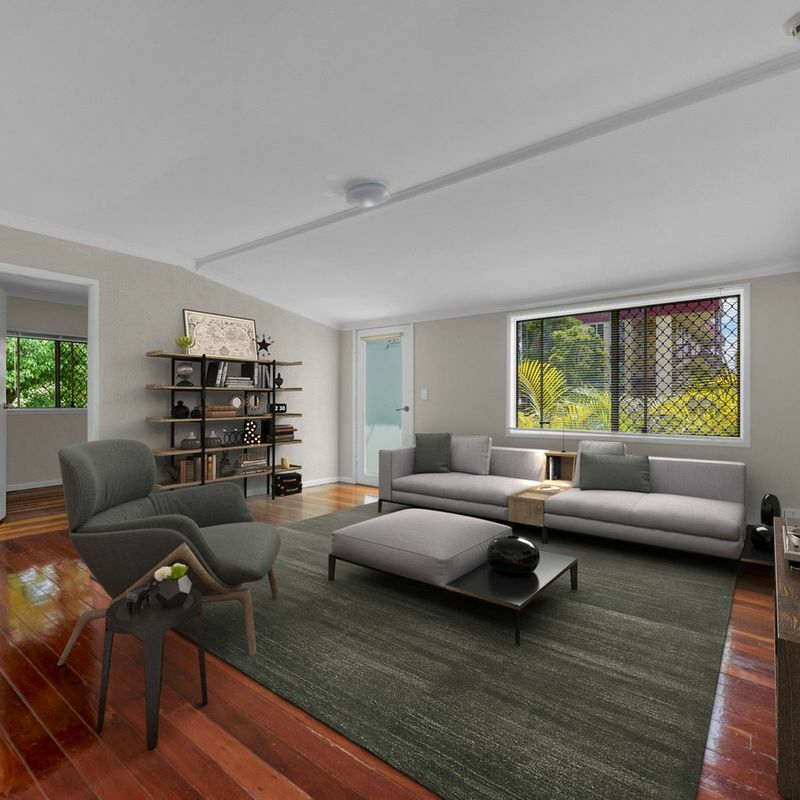 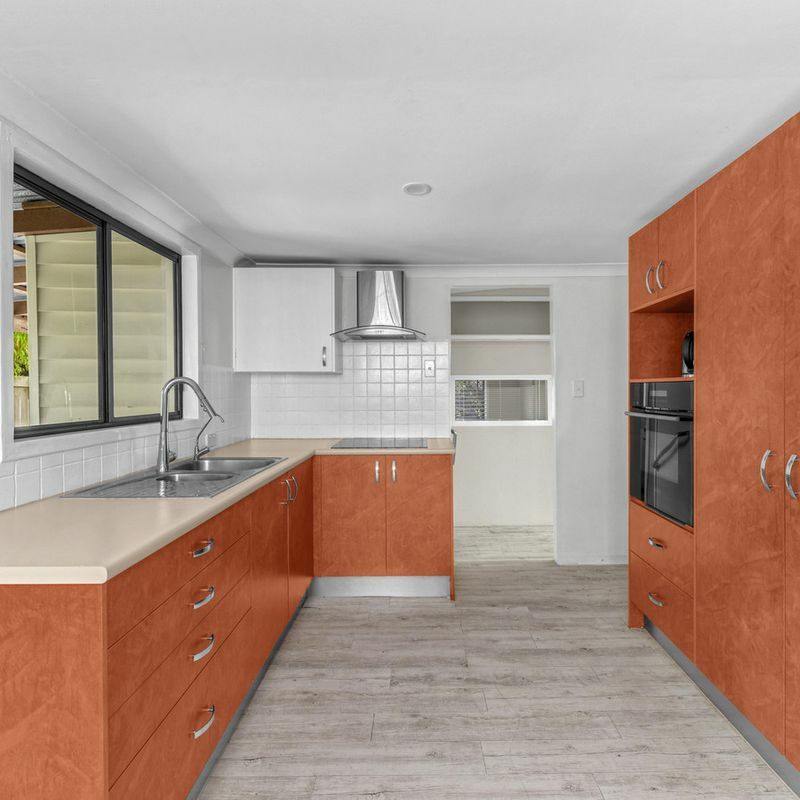 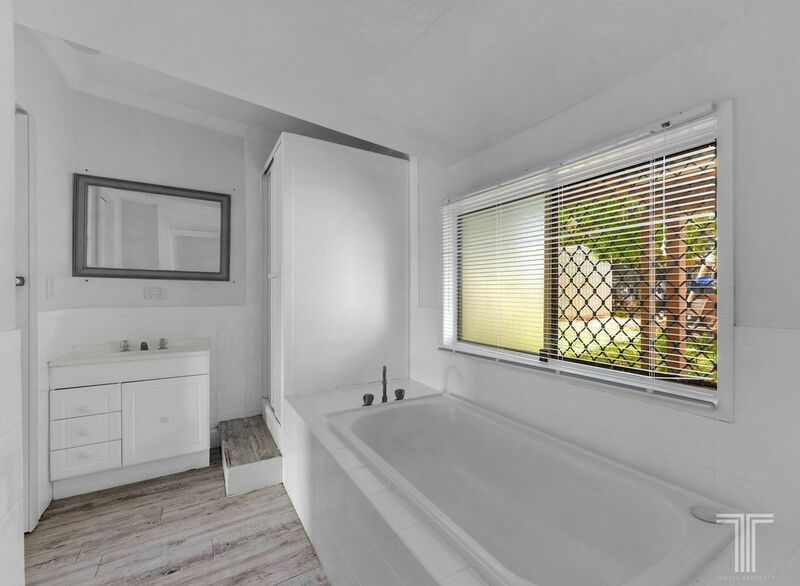 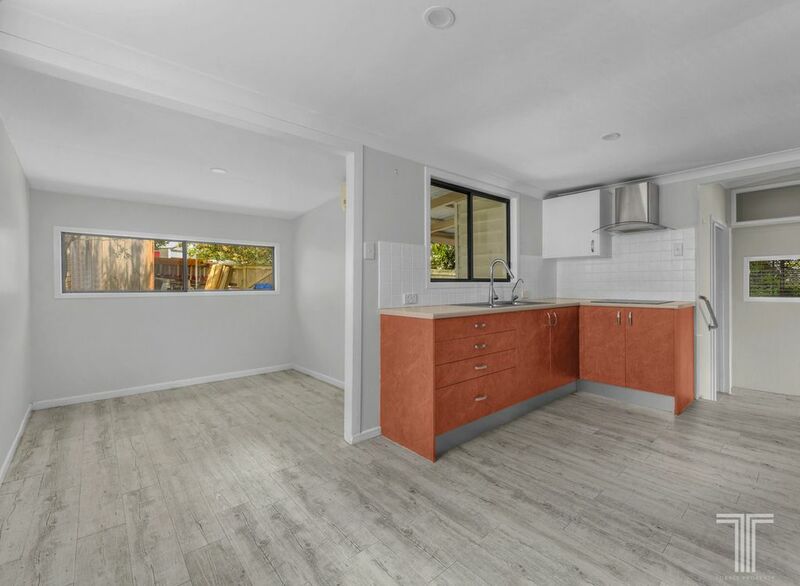 Featuring polished hardwood timber floors throughout the living area and bedrooms with tiled bathroom and laundry areas, perfect for the Queensland lifestyle. 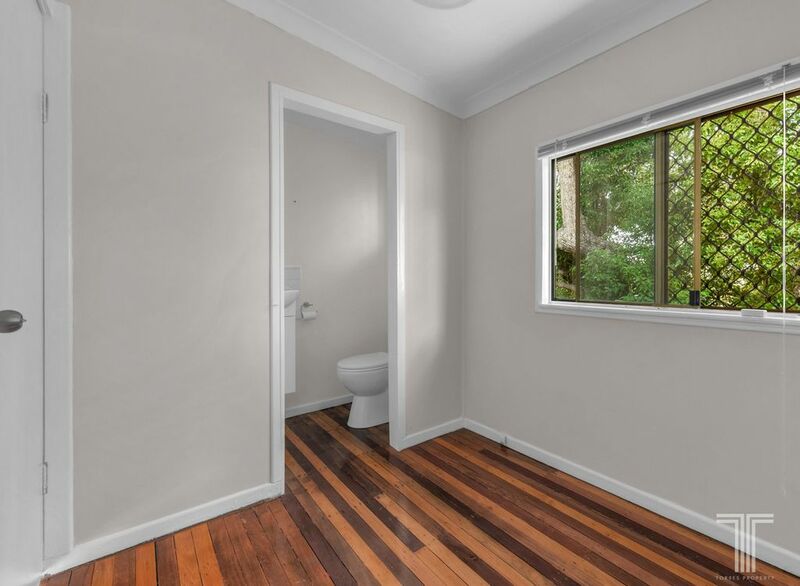 The main bathroom has a separate shower & bathtub leading to a separate laundry with toilet and separate powder room. 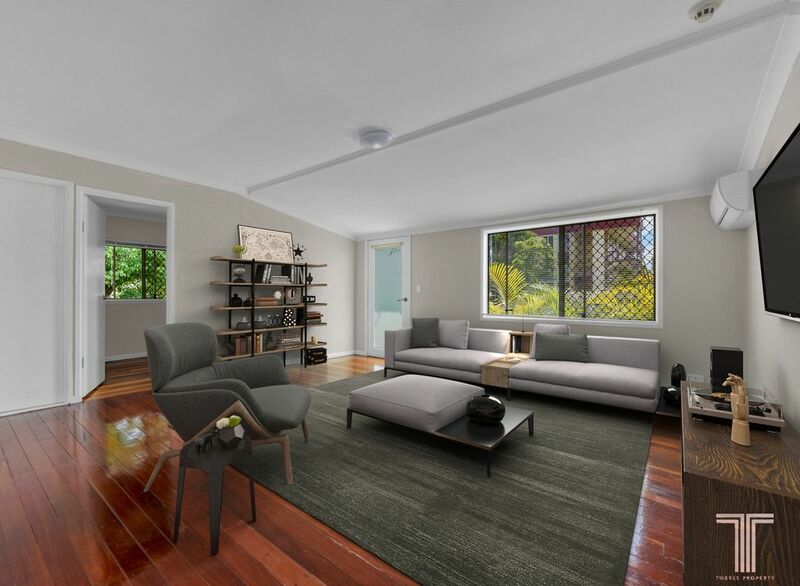 This home comprises of an elevated spacious master bedroom with built-ins, generous second bedroom, and a study or home office. 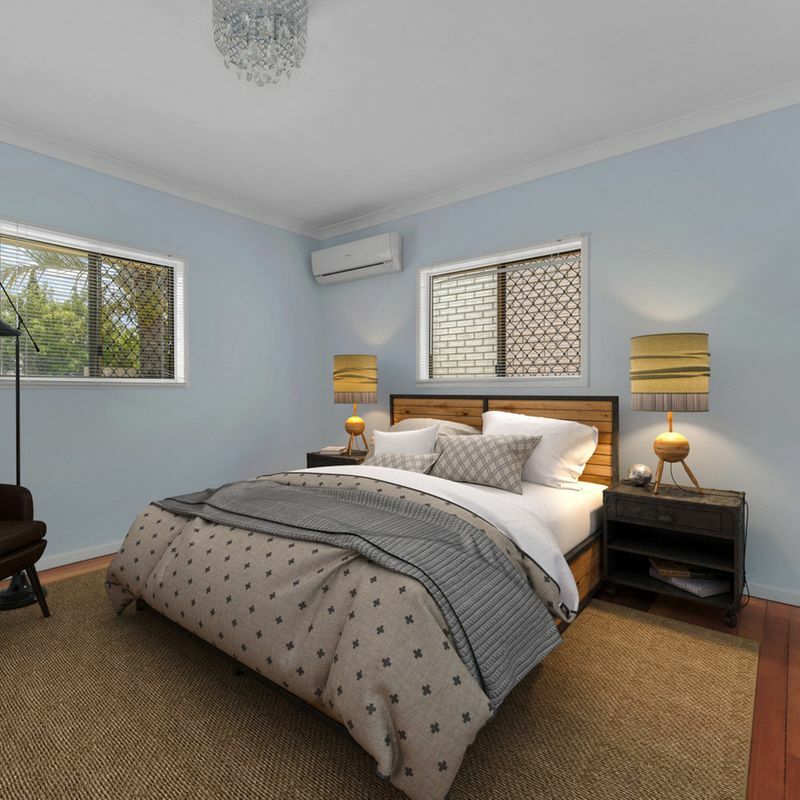 You will find yourself in all year round comfort in this fully air conditioned abode complete with security screens. 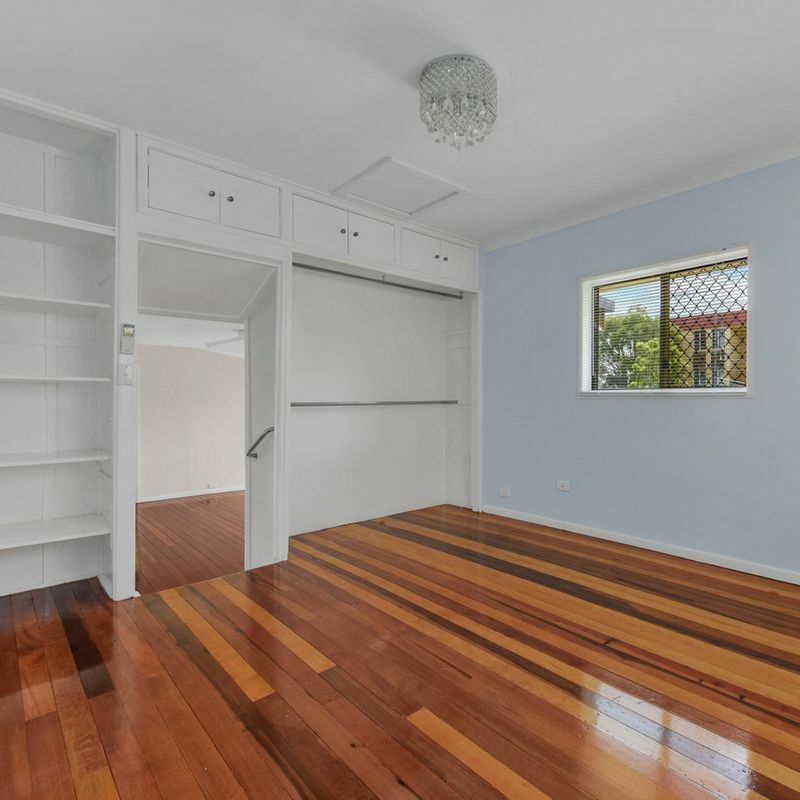 – Fantastic position, short walk or drive to Cannon Hill Plaza, Cannon Hill train station, bus stops and Seven Hills Bush Reserve. 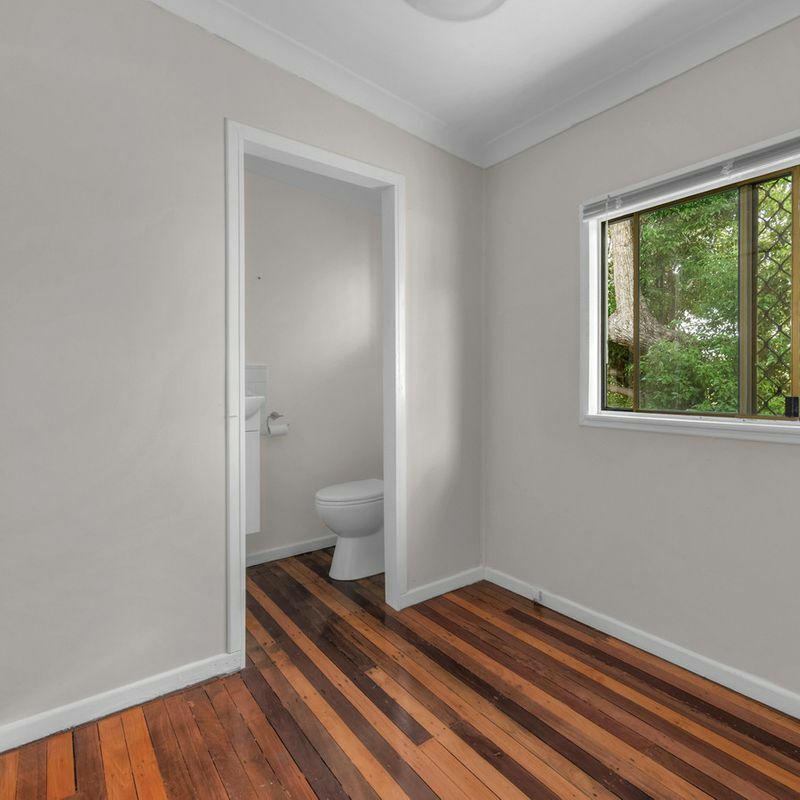 – Under 20 minutes to the CBD. 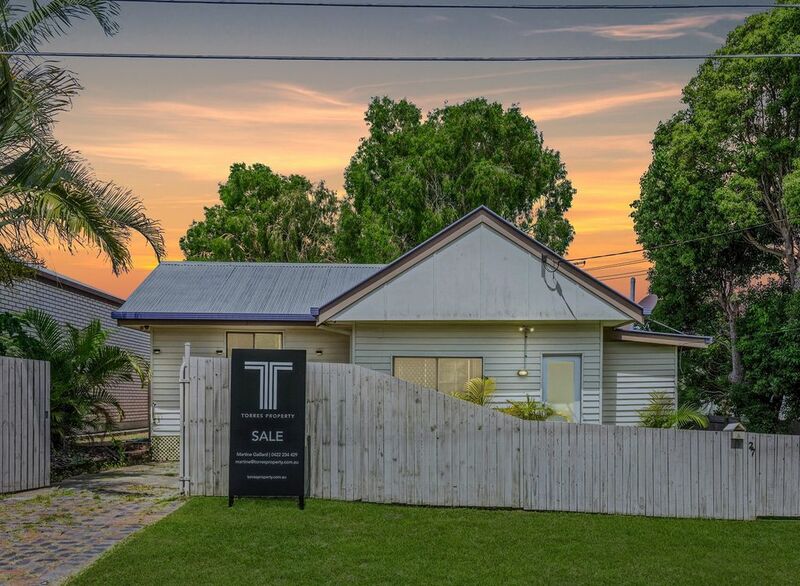 Future vision could replace this home with a brand new residence to capture the full city views. 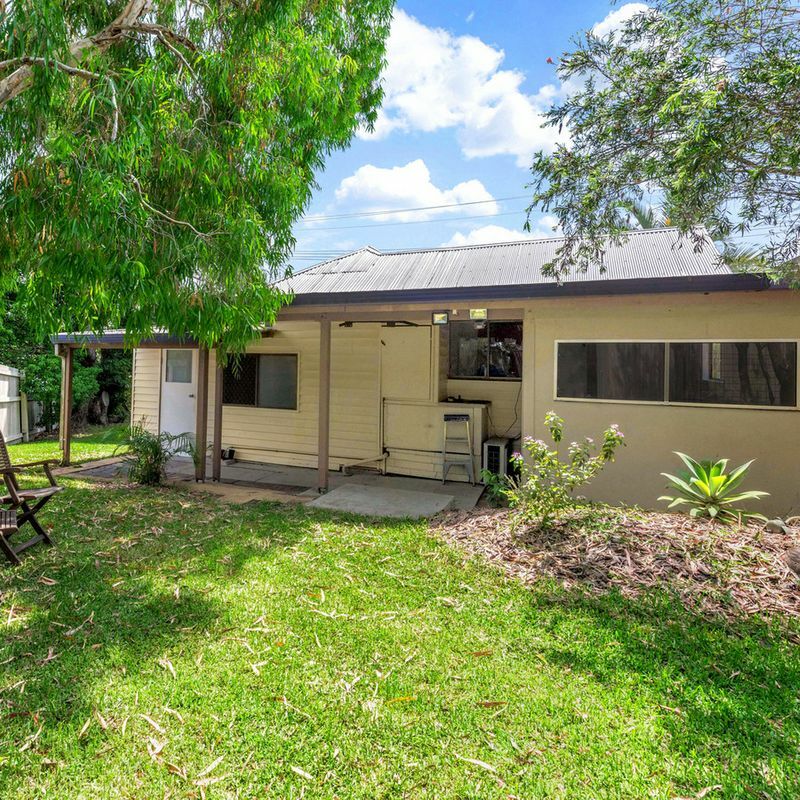 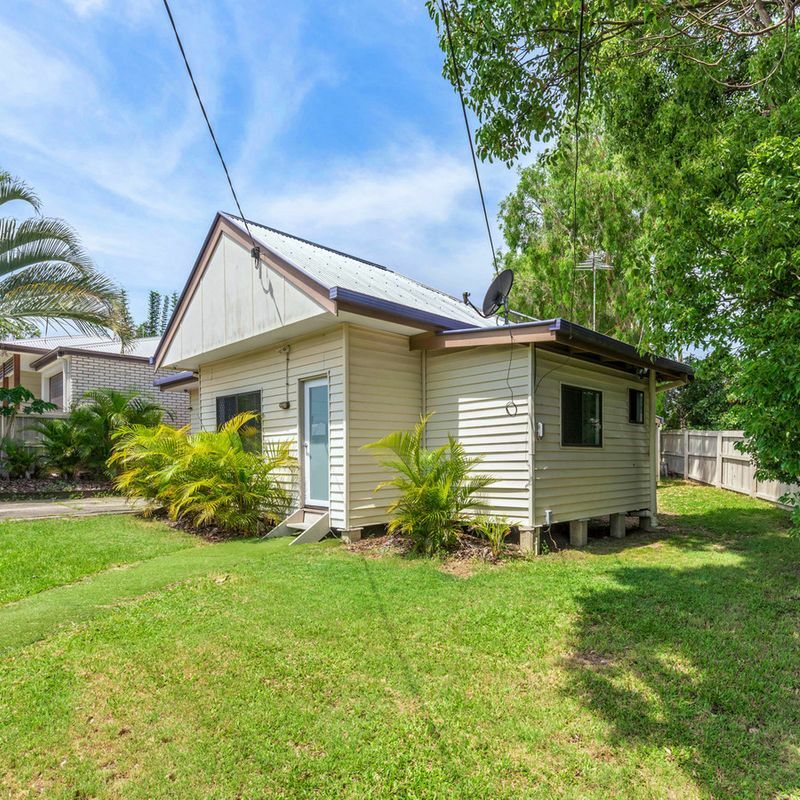 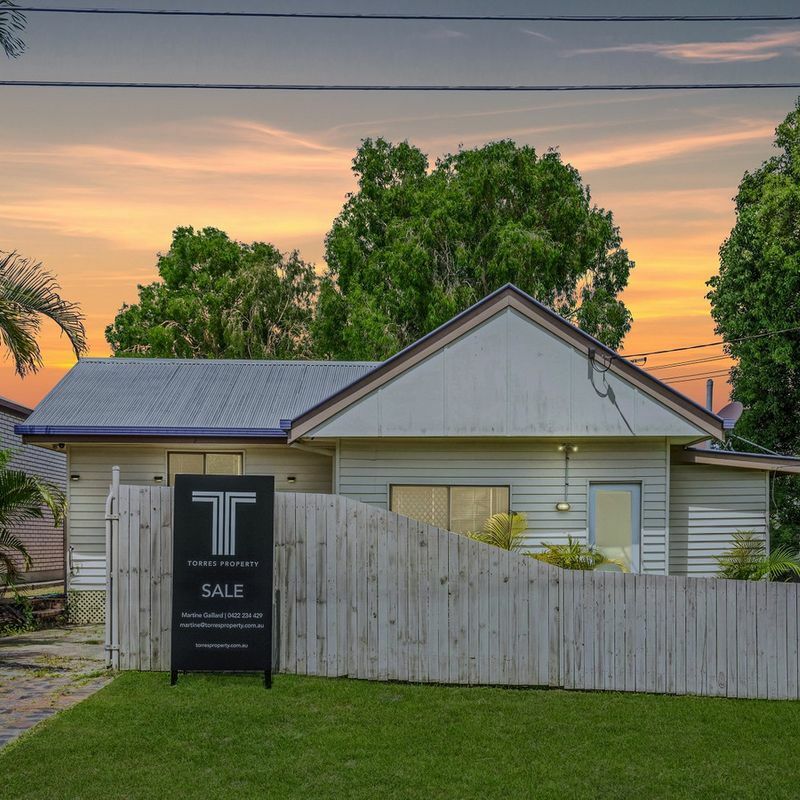 Opportunity knocks as this house could be removed (STCA) as it has had approval in the past.